In the remote Bocas del Toro, Panama, William Dathan Holbert, a.k.a. “Wild Bill,” is awaiting trial for the murder of five fellow American expatriots. Holbert’s first victims were the Brown family, who lived on a remote island in the area’s Darklands. There, Holbert turned their home into the “Jolly Roger Social Club,” using drink- and drug-fueled parties to get to know other expats. The club’s tagline was “Over 90 percent of our members survive.” Those odds were not in his victims’ favor. The Jolly Roger Social Club is not just about what Holbert did or the complex financial and real estate motives behind the killings; it is about why Bocas del Toro turned out to be his perfect hunting ground, and why the community tolerated—even accepted him—for a time. 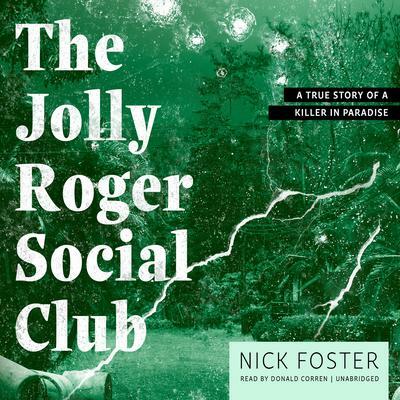 Told through the fascinating history of the country of Panama, a paradise with sinister ties to the political and economic interests of the United States, journalist Nick Foster brings this uniquely bizarre place to life. He sheds light on a community where many live under assumed names, desperate to leave their old lives behind—and sometimes people just disappear. Nick Foster was born in Liverpool in 1966 and educated at University College London. He worked for several years as a European Union diplomat, and as a stringer working out of Caracas, filing news stories and research to the UK broadsheets. He now writes features for the Financial Times and the International New York Times, among other outlets. He is also producing a documentary film on France’s highest-profile cold case. Foster lives with his family in Belgium.